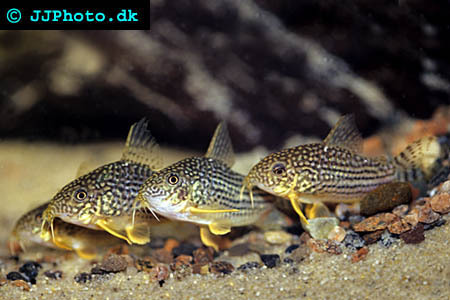 Company: Corydoras Sterbai (Sterba) can be kept in most community aquariums. Aquarium setup: Corydoras Sterbai (Sterba) should be kept in a heavily planted aquarium with a fine, smooth bottom substrate. These fishes are very active if they feel secure. Use stones and rocks in your aquarium decoration to create hiding places. Feeding: Corydoras Sterbai (Sterba)accepts most food sources as long as they sink. 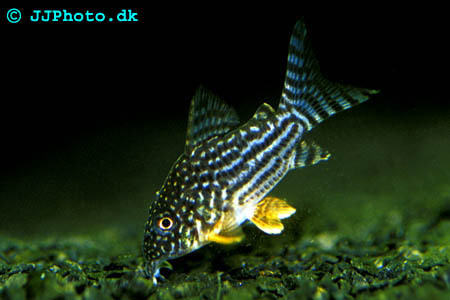 Breeding: Corydoras Sterbai (Sterba) can be breed in aquariums. The male will clamp the barbells of the female during the fertilization of eggs. The female attaches the eggs to a leaf or another smooth surface. idn't find the info you were looking for? Register for free and ask your question in our Aquarium forum !